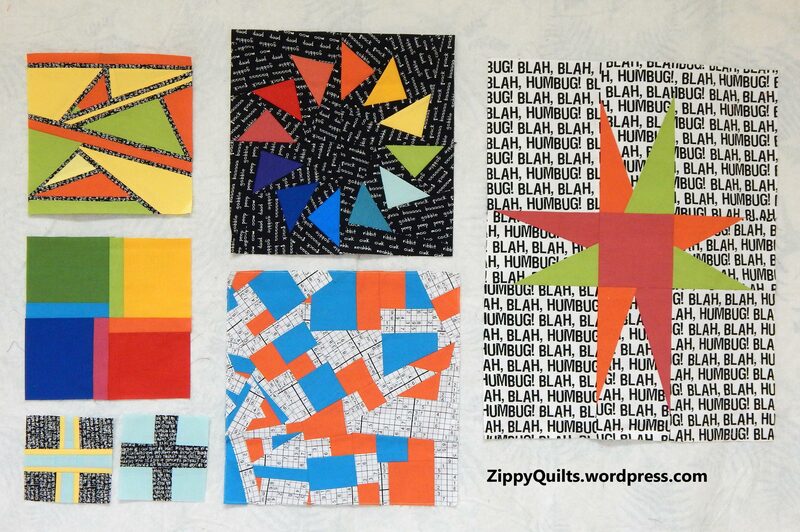 Here’s a picture of the blocks made to date for my modern sampler. Links to the posts about each one are at the bottom of this post. Some are designed by me, some not. It’s time to look at all the blocks together and think about what this quilt needs next. So far I’ve made 7 blocks; it needs 7 or 8 more. The blocks will fit together in multiples of 3″, with some solid strips to fill in spaces. The blocks are generally “busy”, so I think those solid strips will be important. There are a variety of colors and a lot of white and bright. I like the bright, but I want some more black backgrounds. All of the blocks except one have some text fabric. I need to either save the one block with no text for another purpose or make 2 more without text. I can use some text fabric as background strips. That orange and turquoise block with all the random trapezoids doesn’t fit with the others, so I either need to make more like it or modify it in some way. I may cut it up and re-make it altogether. Suggestions? Meanwhile, here’s one new block to add to the sampler. And here are the steps for making it. I just sewed together my scraps and then framed them with triangles. I made sets of strips left from other blocks. 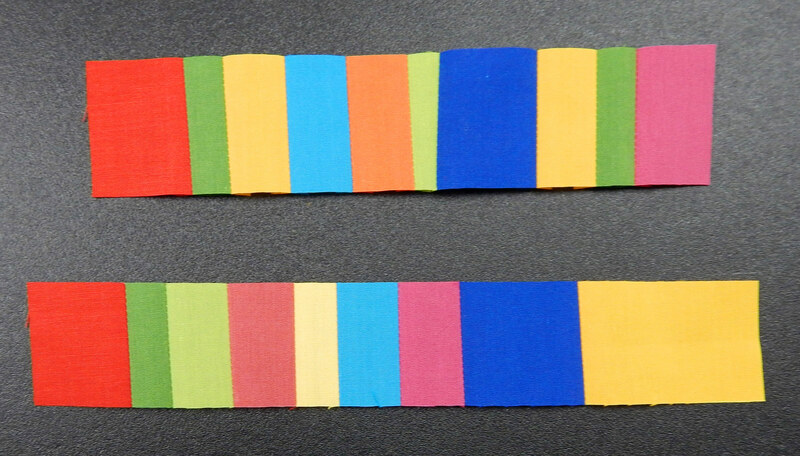 These strips varied in width, and some were uneven widths. 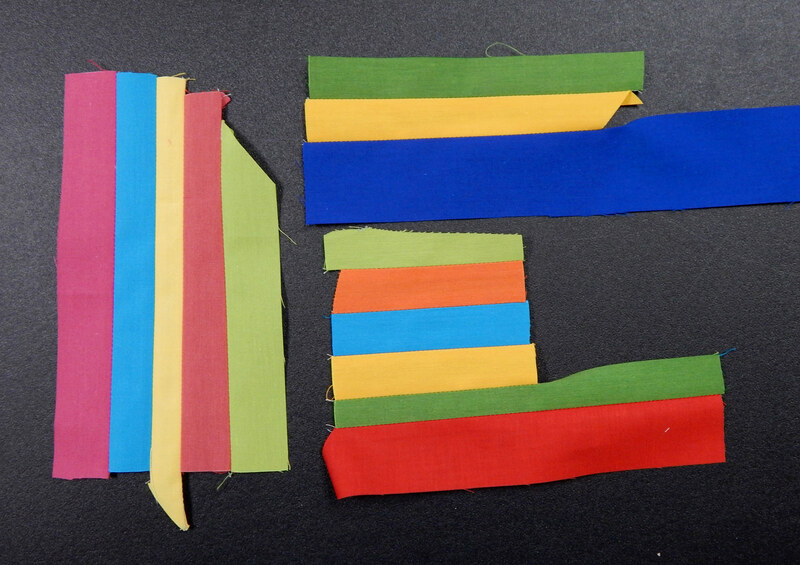 Strips of tiny blocks cut from the strip sets. I joined the strips of little blocks (which varied in width from 1 inch to 1-1/2 inches) and then added black triangles. The center “square” is NOT square–it is improvised without much measuring! This entry was posted in Improvisational quilting, Modern Quilts, Modern Sampler, Quilt Design, Quilting, Tutorial and tagged improvisational quilting, modern quilt, modern quilt block, modern quilt design, modern quilts, Quilt, quilt design, quilt scraps, quilting, quilts, scraps by zippyquilts. Bookmark the permalink. Love the new block. That and the orange-turquoise one are my favorites. I’m not very imaginative in fitting together blocks that are of such different styles, so I can’t offer much advice. But I’ll look forward to seeing how this comes together! And, indeed, I may not end up fitting all of these in. I’m making each block to experiment with a technique, hoping the fabrics all being from the same collection will tie it together. Thanks for visiting. I enjoy the design process and making a modern sampler is such a great way to stretch your design skills and think about old things in a new way. Plus of course I love the fabric 😉. Thanks for visiting. Looking at old posts – those blocks look amazing! OMG so brave to take on such a modern challenge. I like all the blocks but cannot get a picture in my head of how they will go together. 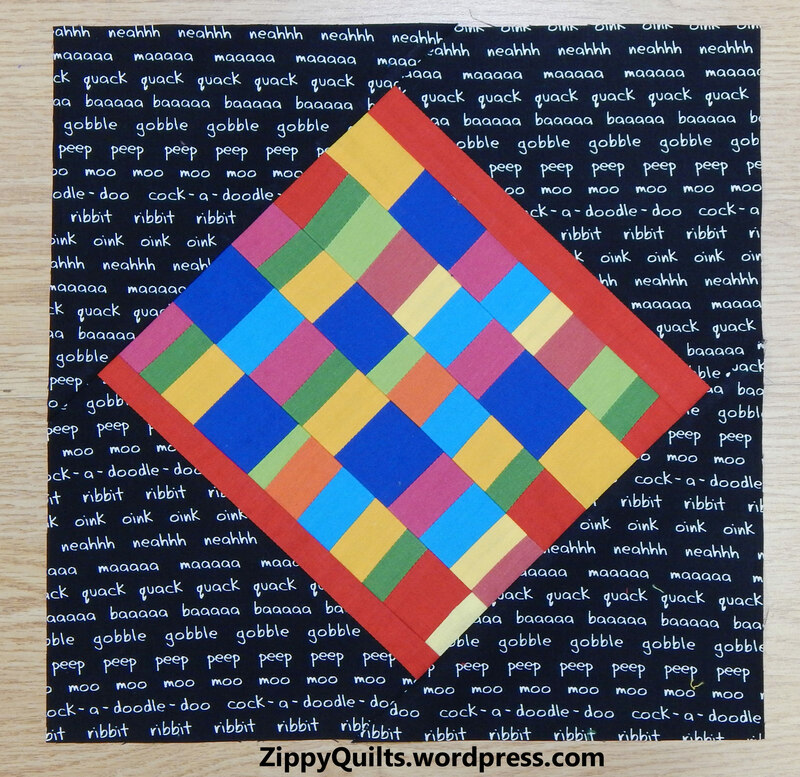 He trapezoid Block May just need to be slashed and a solid fabric in one of your other block colours inserted. Or just leave it and see how it works. Worst case scenario, make it the star of the back of the quilt.